Creature Comforts Brewing Co. is an Athens, Ga.-based brewery offering finely balanced artisanal beers since April 2014. In an effort to grow its wood cellar and specialty brand program, Creature Comforts expanded its barrel facility with additional equipment in January 2019. The brewery added three foeders as well as a state-of-the-art bottling line to its original location in downtown Athens. The three foeders were imported from a winery in Sardinia and refurbished by an Italian cooper. Creature Comforts is utilizing the additional tanks to increase the quality as well as the output of specialty brands. The bottling line the brewery recently added is a GAI MLE 661 BIER model coming from Italy. The line is capable of packaging 500-mL, 750-mL and 1,500-mL formats, and packages 750-mL bottles at a rate of 1000 bottles/hour (still) and 700 bottles/hour (sparkling). The brewery is preparing for the release of several offerings from the program. Consumers can expect new brands, Pearson and Curious #12, in addition to the return of Existence as the next releases from the wood cellar and specialty brand program. Pearson is a fruited ale aged in oak barrels that showcases locally sourced peaches from Fort Valley, Georgia’s Pearson Farms. Creature Comforts worked with the “Peach Guru” John Short of Georgia Proud Provisions to select the Elberta peach, the original king peach of Georgia, to feature in the 2018 vintage. 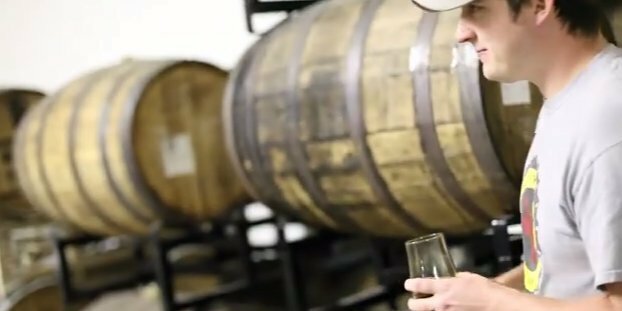 The brewery then determined select barrels to create a blend that honors the flavors of the chosen peach variety. The brewery packaged and conditioned the beer in 500-mL bottles. Pearson is 6.5-percent ABV and will be available from Creature Comforts’ tasting room on March 30. Creature Comforts developed Curious #12 from a previous release from its wood cellar, River Ridge Black. Once River Ridge Black finished conditioning on top of organic black raspberries and black currants, the brewery transferred a portion of the beer to a port barrel where it aged for eight months. Curious #12 is a part of Creature Comforts’ Curious Series that the brewery utilizes to explore new techniques, flavors and ingredients. The beer is 8.1 percent ABV and will be available in a limited amount of 500-mL bottles. Existence  is a bourbon barrel-aged imperial stout aged for 23 months. This version of the stout is 13.7-percent ABV and intense yet balanced with a firm structure and viscous body. Creature Comforts first released the brand in May 2016, and the beer served as the first bourbon barrel-aged stout the brewery ever produced. Existence was built to age and develop over time into a refined and well-balanced offering. Pearson, Curious #12 and Existence  will be available onsite from Creature Comforts tasting room this spring.